To apply modeling guidelines across projects and development teams, you can use the Model Advisor to run checks on your model. When you run the checks, the Model Advisor reviews your model for conditions and configuration settings specified by the check. 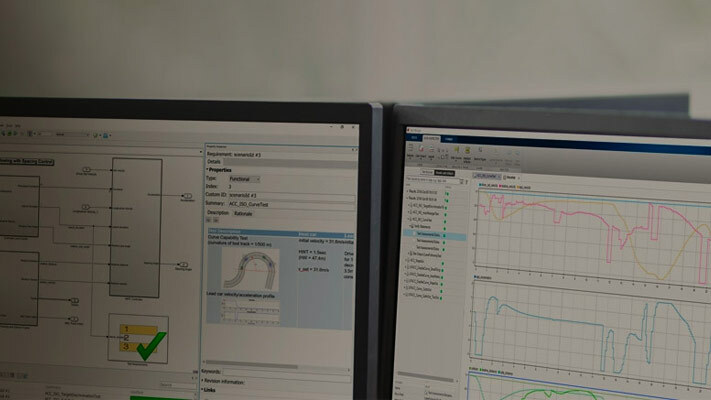 Simulink® Check™ includes Model Advisor checks for compliance with safety standards associated with High-Integrity System Modeling and MAAB Control Algorithm Modeling guidelines. Start with Check Model Compliance by Using the Model Advisor. Use the Model Advisor and edit-time checking to check that a model or subsystem complies with modeling guidelines or standards. You can limit the scope of a Model Advisor model or subsystem analysis. This example shows how to exclude a Gain block and all Outport blocks from a Model Advisor check during a Model Advisor analysis. Configure the Model Advisor to generate reports in additional formats. Use the Model Advisor to check that a model or subsystem complies with parts of the DO-178C safety standard. Use the Model Advisor to check that a model or subsystem complies with parts of the IEC 61508, IEC 62304, ISO 26262, and EN 50128 safety standards. Use the Model Advisor to check that a model or subsystem complies with parts of the High Integrity System Model safety standard. Use the Model Advisor to check that a model or subsystem complies with parts of the MathWorks® Automotive Advisory Board (MAAB) Guidelines. Use the Model Advisor to check that a model or subsystem complies with parts of the Japan MATLAB® Automotive Advisory Board (JMAAB) Guidelines. Use the Model Advisor to check that your model is most likely to produce MISRA C:2012 compliant code. Use Model Advisor to check that code complies with CERT C, CWE, ISO/IEC TS 17961 secure coding standards. Use the Model Advisor to check that every requirements link in a model has a valid target in a requirements document.